EE was the launch network partner for Google Pixel and again the network is the first to bring the 'Really Blue' version of the Pixel and Pixel XL to the UK. 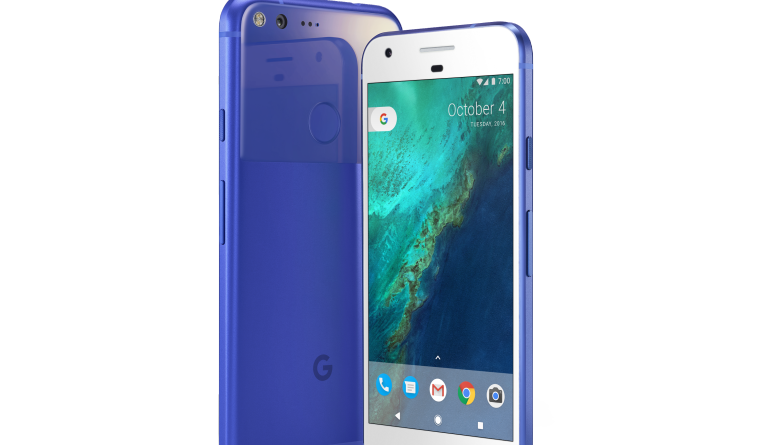 You can pre-order your Really Blue Pixel or Pixel XL from today and it'll be in store from 24th February. According to Google this is a limited edition colour so it will be available until stocks last (it probably won't be THAT limited, though). The Pixel XL is also available free on a £55.99 a month, 24-month plan, and comes with unlimited minutes, unlimited texts and 10GB of mobile data a month for existing customers. Among the deals available, you can get the Pixel 32GB for free at £45.99 per month for unlimited UK minutes and unlimited texts plus 7GB of mobile data. Both handsets also come with unlimited cloud storage on EE. The Google Pixel has a 5.0-inch screen, and the Pixel XL packs a 5.5-inch screen. They are both AMOLED displays, the XL will have a QHD resolution of 2560x1440, while the standard Pixel will pack an HD resolution of 1920x1080. Both devices have 32GB or 128GB of storage, 4GB of RAM, and run on Qualcomm's latest 821 processor. On the back, there's a 12-megapixel camera with optical image stabilisation, and a fingerprint sensor. Looking for the Pixel's similarly-priced Apple rival? You need to check out our best iPhone 7 deals. Or Samsung's super S7 Edge? Check out our best Galaxy S7 Edge deals.